An elegant and stylish watch in stainless steel from 1895 Of Scandinavia. With a fine black dial displays all details clearly and allows the watch to the perfect accessory for all occasions. What distinguishes a watch from 1895 Of Scandinavia and makes it stand out in the crowd is number 16 which is the same color as the watch and the other details. 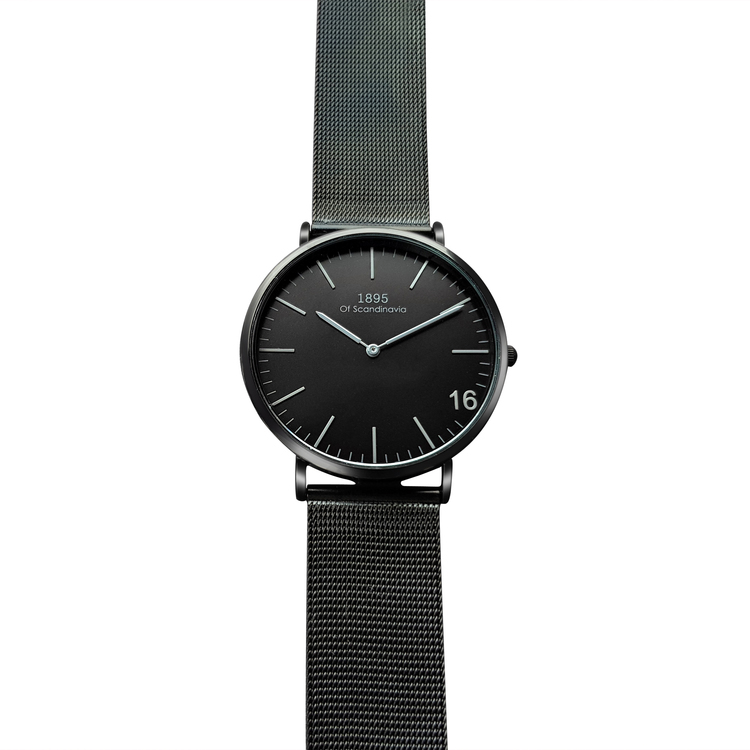 The watch has a diameter of 40mm and 6mm thin, which means that fits well on the arm and is equally suited to guys and girls. All watches fr.o.m. 1895 Of Scandinavia always comes with bracelets of genuine leather. All watches is mounted partly in Sweden and we check every watch before they are sent out to the customer. 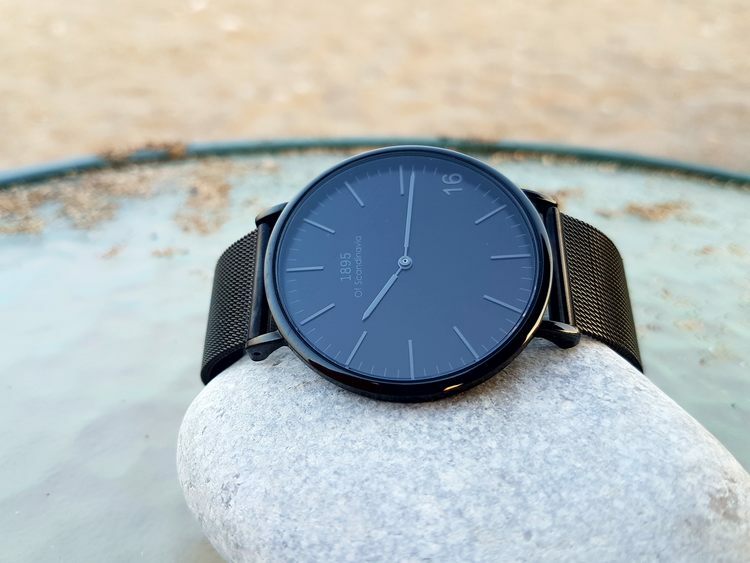 Diameter of case 40mm and 6mm thin water resistant to 3 ATM meaning: can withstand everyday use as rain and splashes but should not be exposed to direct contact with water.